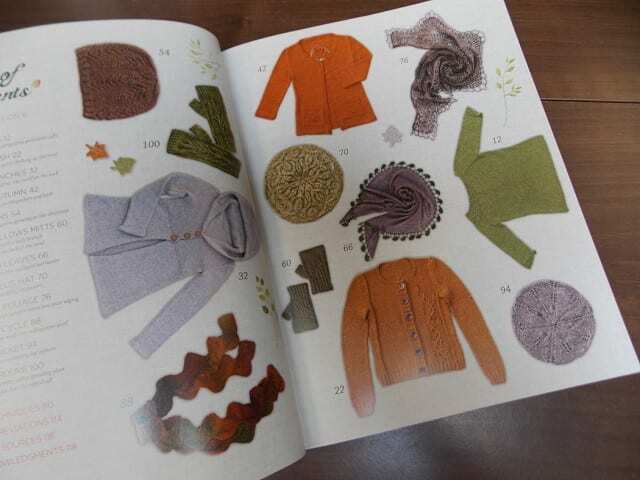 Last year, Alana Dakos published Botanical Knits, a collection of garments and accessories inspired by trees and foliage. As soon as we heard there was a sequel afoot, we preordered a big stack of them for the shop. 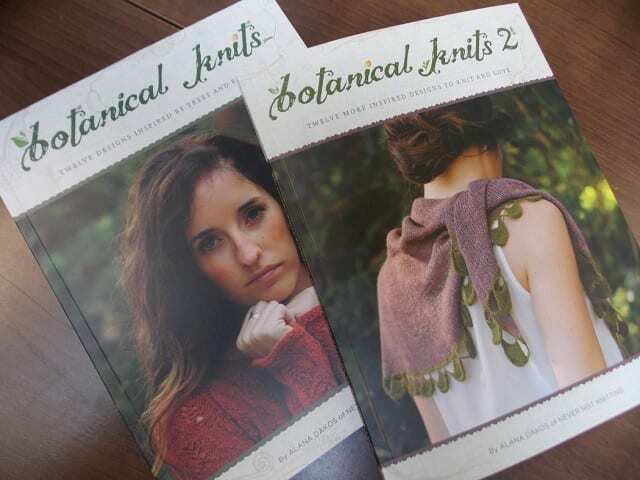 At last, it’s here: Botanical Knits 2! 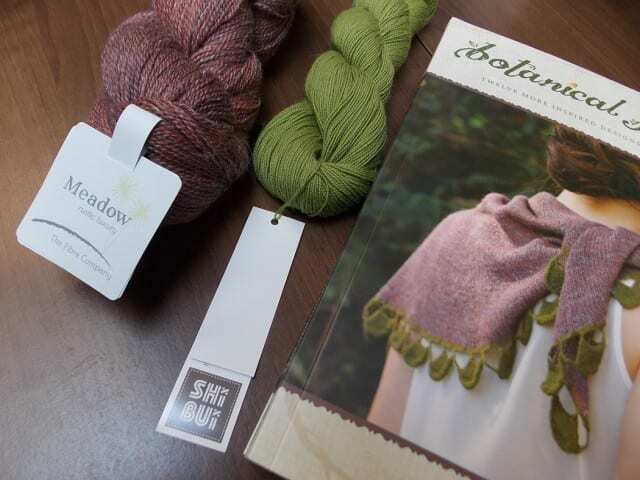 The cover project, naturally, was the first to catch my eye, a shawl knit in Fibre Company Meadow and Shibui Cima, two favorites around here. 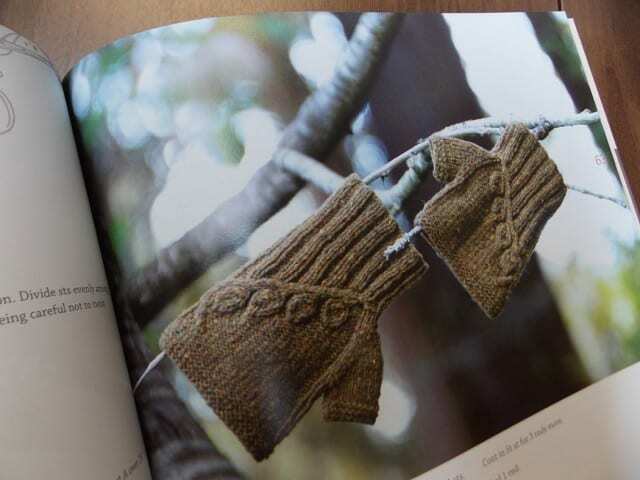 Botanical Knits 2 is exactly what we’ve come to expect from Alana Dakos, a book as beautifully designed as the patterns inside. 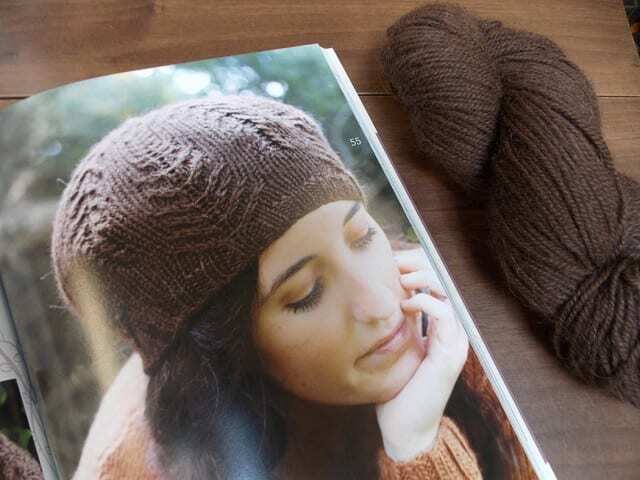 Come by the shop to pick up copies of Botanical Knits and Botanical Knits 2, and get 15% off during the month of July! 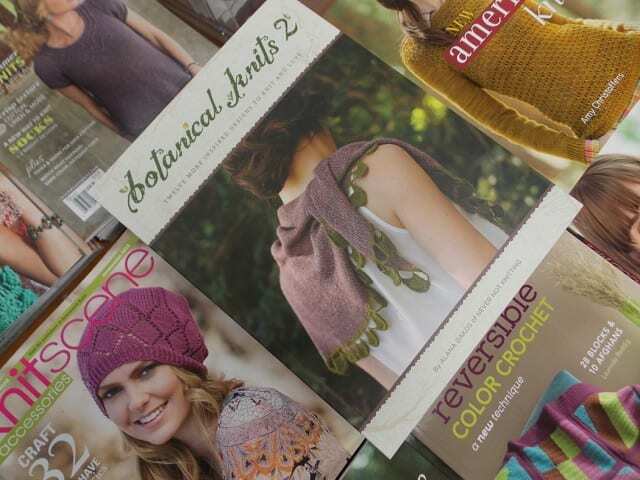 Look for Botanical Knits 2 on the teacart, surrounded by new and inspiring books and magazines. See you at the shop!